Mag Mount Coax Boot Protect your paint! Easy, slip on installation, this rubber boot will keep your paint safe without sacrificing communication quality. Roll Bar Antenna Mount Easy Antenna Install! This Stainless Steel antenna mount makes it easy to install your PCI Race Radio. 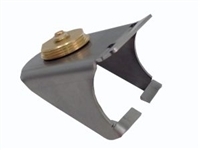 Great for powder coated chassis, UTV's, sand rails or anywhere you need a quick antenna mount. No welding or drilling required, the only installation tool necessary is a flat head screwdriver. 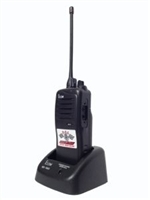 Record audio from your intercom and two way radio transmissions. Works great with the GO PRO HD HERO2 Camera. 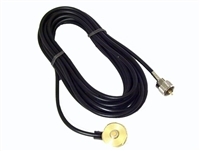 This high quality stranded coax uses a 3/8" hole and can be mounted in any roof or tab. 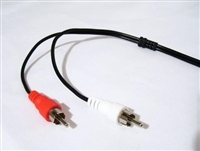 When routing your coax cable, keep it away from any ignition systems, computers and headset cables. You can order a custom length coax exactly to your specifications. 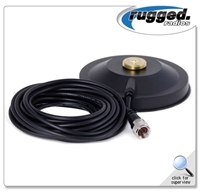 3-1/4" ABS Magnet Mount Base Cable with 17' RG-58 Coaxial Cable and standard NMO threaded base. 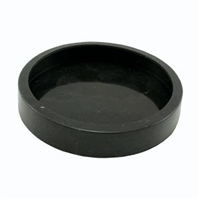 Strong, powerful, 5" inch magnet will ensure that your antenna will stay on during riding. Cable features standard UHF connector that works for both UHF and VHF radios including the Vertex VX2200 and others. In this application, the term 'UHF connector' refers to the connector type and not frequency type.